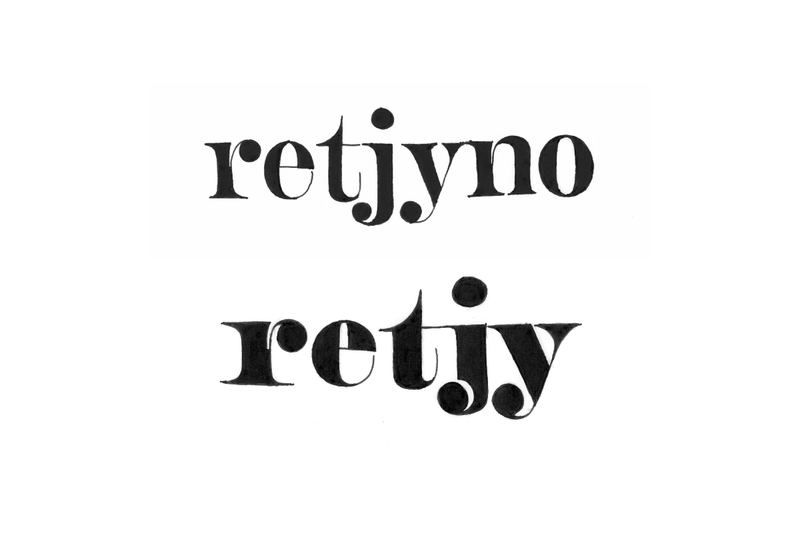 TypeMedia is a full-time one year Master program held at The Royal Academy of Art, The Hague in The Netherlands, that gives participants the possibility of delving deeper in the field of type design. 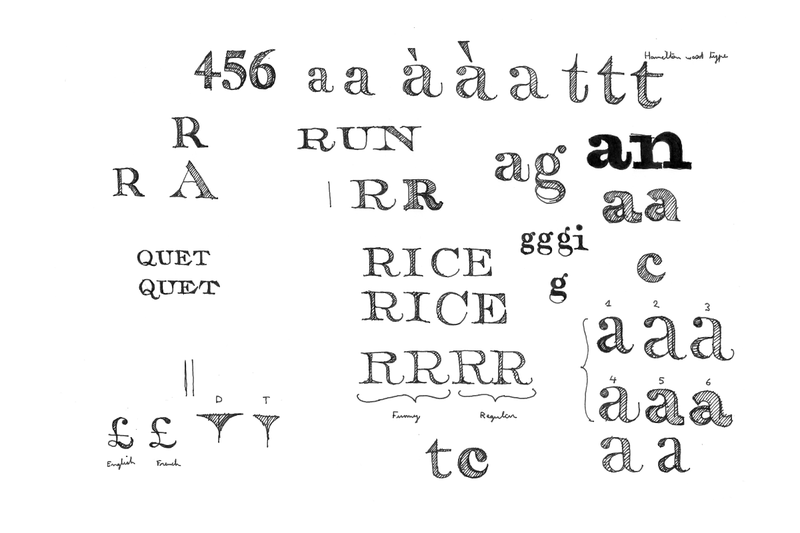 At TypeMedia, students work intensively in small groups of no more than twelve persons. They work under the guidance of expert and enthusiastic teachers from the permanent and visiting faculty. Although the student’s personal motivation is given primary place, collaboration with other students is of fundamental importance. Alexandre Saumier Demers from Canada, Hugo Marucco from France, Mark Frömberg from Germany, Mark Yehan De Winne from Singapore, Sláva Jevčinová and David Chmela from Slovakia, Nina Stössinger from Switzerland and James T. Edmondson from the United States of America. The course also had past graduates from many more countries, of which Argentina, Australia, Austria, Belgium, Bulgaria, Brazil, Colombia, Croatia, Denmark, Estonia, Finland, Hungary, Iceland, India, Israel, Italy, Japan, Latvia, Lebanon, Lithuania, Malaysia, Mexico, New Zealand, Norway, Paraguay, Poland, Portugal, Romania, Russia, Scotland, South Korea, Spain, Sweden, Taiwan, the Netherlands and Turkey. 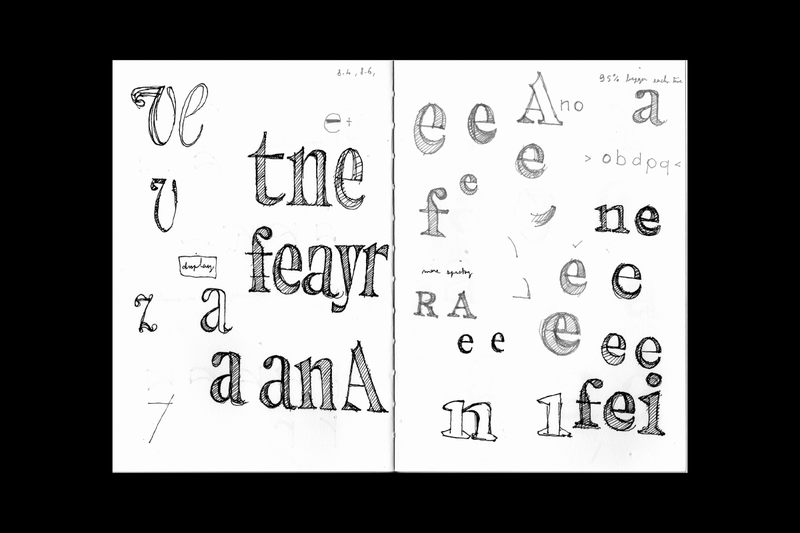 With the help, assistance and supervision of the regular faculty teachers, visiting teachers and lecturers, the TypeMedia students immerse themselves in the type design world by completing many different assignments. These assignments range from stone carving classes, Python programming, the creation of revivals of lead typefaces, calligraphy exercises, exploration of different sketching techniques, all of which are constantly reviewed and discussed. On top of that, the students go on regular field trips around the country and abroad to explore the typographic, artistic and architectural culture of the region and attend many different conferences and lectures by numerous international type design experts. 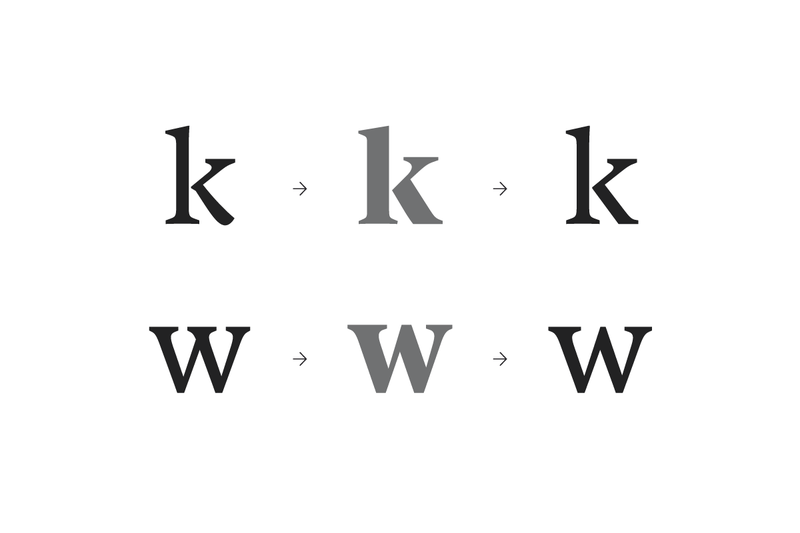 All this experience is used in the student's final projects, four months spent entirely on the creation of an original typeface family. Françoise Berserik, Peter Biľak, Erik van Blokland, Petr van Blokland, Frank Blokland, Paul van der Laan, Just van Rossum, Jan Willem Stas and Peter Verheul. Jo De Baerdemaeker, Frederik Berlaen, Liz Bijl, Frank Grießhammer, Luc(as) de Groot, Akira Kobayashi, Kristyan Sarkis, Christian Schwartz. Donald Beekman, Frederic Brodbeck, Liza Enebeis, Guy Hutsebaut, Bas Jacobs, Indra Kupferschmid, Warren Lee, Tal Leming, Mathieu Lommen, Hilario Nicolaas, David Jonathan Ross, Georg Seifert, Rickey Tax, Mr. Veenstra, Johan de Zoete. 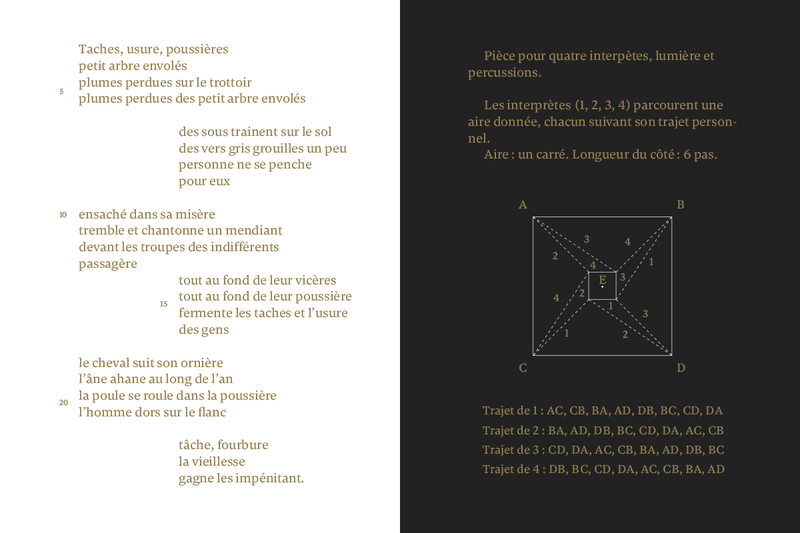 Website developed by Frederic Brodbeck with Flask. 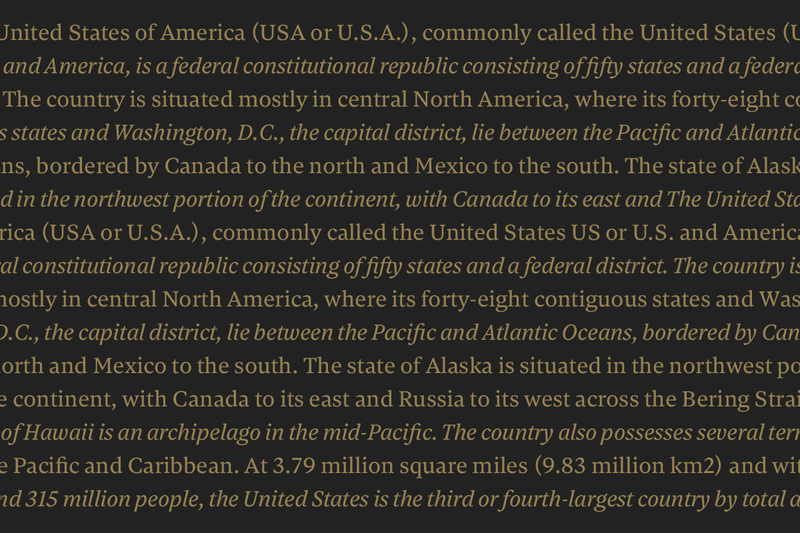 Text set in Neutral designed by Kai Bernau and distributed by Typotheque. 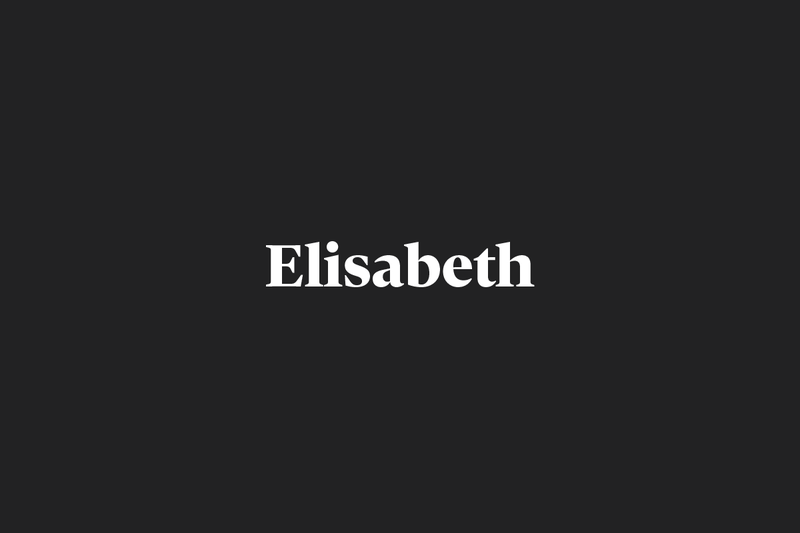 Unobtrusive yet distinctive, Elisabeth is a transitional serif typeface for text and display purpose. 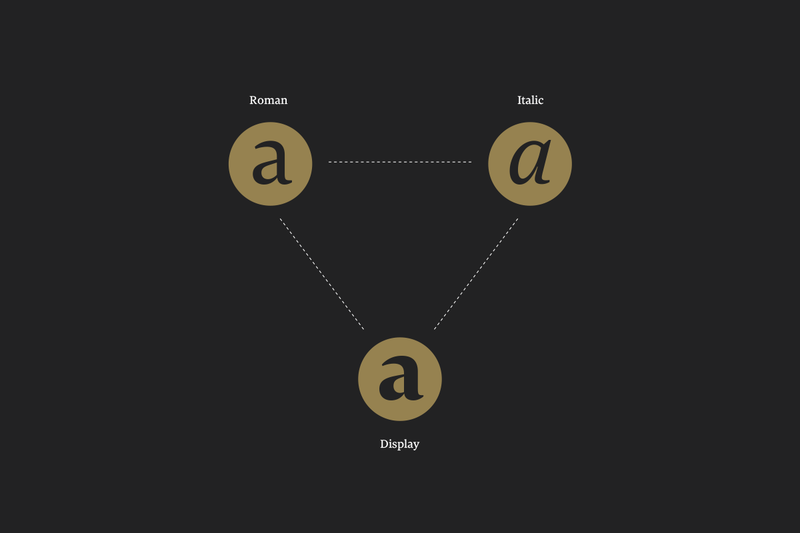 The family is composed of three styles: Roman, Italic and Display. 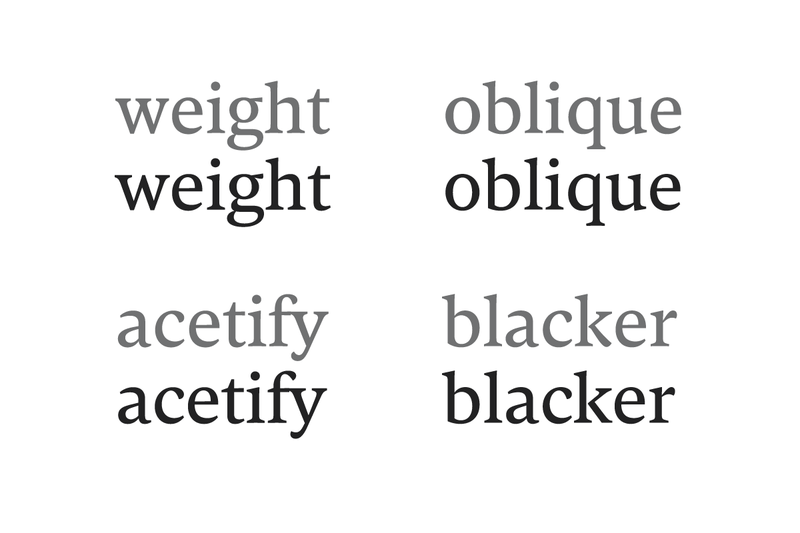 Its proportions and contrast work best in reading size while remaining elegant for headlines. Created for print, Elisabeth suits literature books such as novels or poetry and a large range of printed materials. 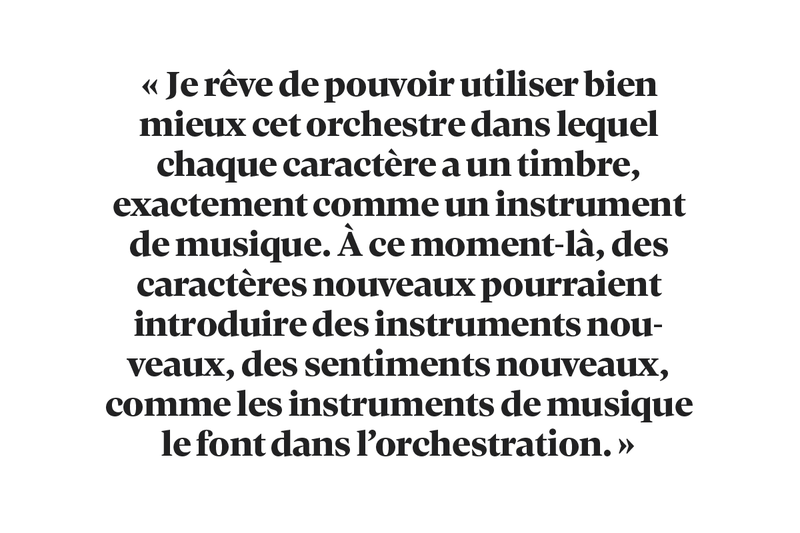 Hugo is a graphic designer and type designer from Annecy, France. He graduated with a BA as a graphic designer from The National School of Fine Arts of Lyon (FR) after studying visual communication in Bellecour School of Arts in Lyon. 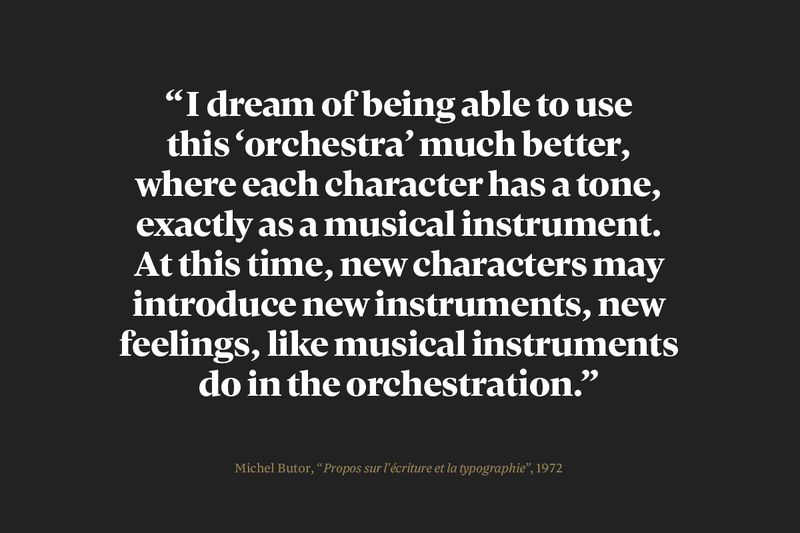 Before Type and Media he did several internships with Jean-Baptiste Levée and the Atelier Carvalho Bernau. First doodles to find ideas and directions. My first idea was to work with a pointed pen structure. 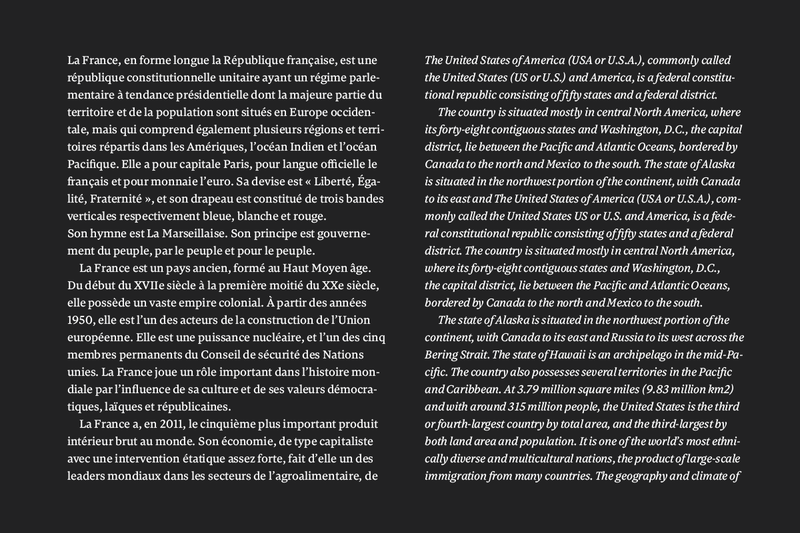 Early in the process, I decided that the Display will influence the design of the Text styles. 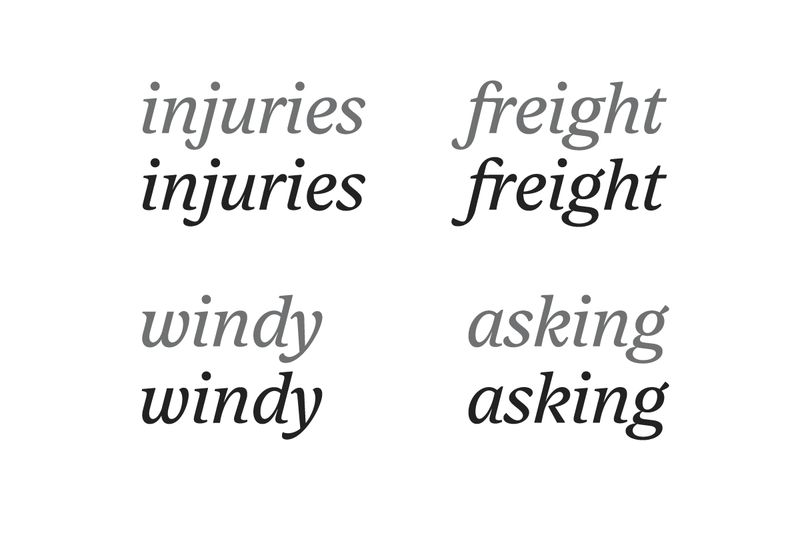 As I was trying to find my design space, I noticed that some features were recurring across my sketches: sharp endings, thin connections, smooth bracketed serifs and ball terminals. Solutions sometimes came from working on the other styles. 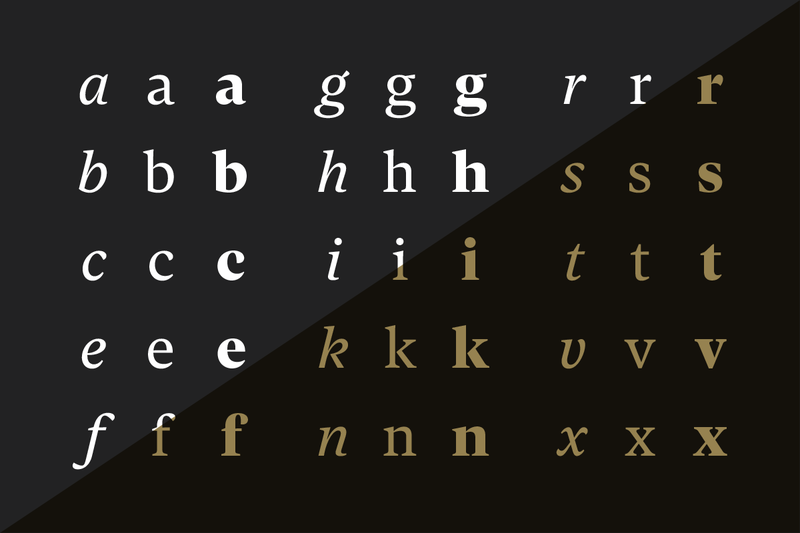 Solving problems on the Display (Grey) forced me to reconsider the design of the Roman (Black). 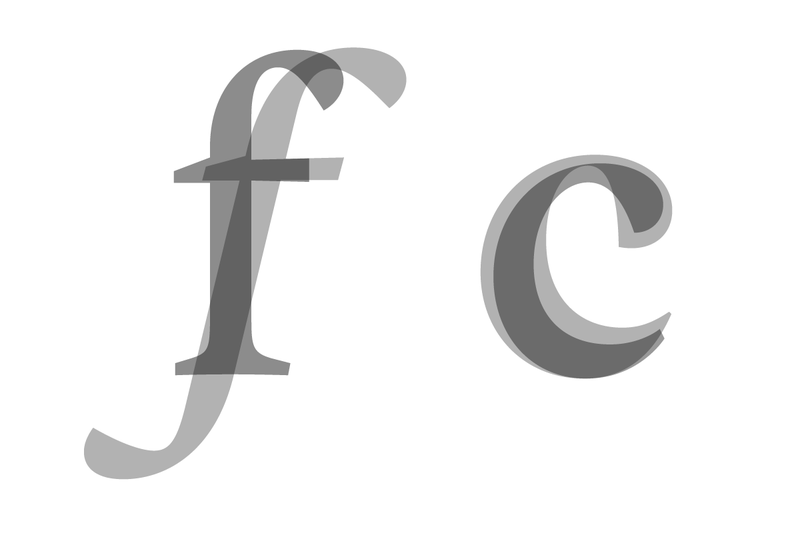 For the Italic, I first started to experiment with different constructions. 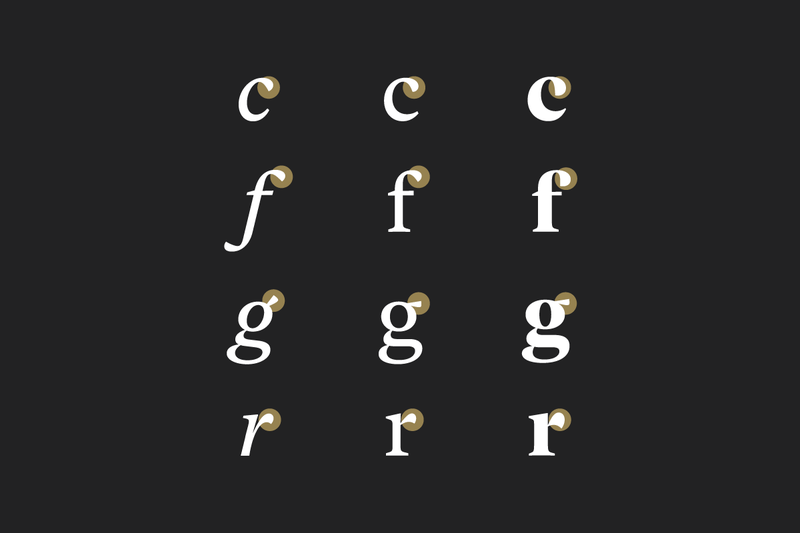 As a companion to the roman, the italic needed to match its color and contrast, yet I wanted to give it a very singular texture and autonomy. Starting with a slanted roman base, I tried several options to get the right construction. Increasing the slant and getting away from the Roman proportions. After taking the main decisions about the constructions, I reconsidered the treatment of the terminals and endings. I wanted a balance between sharp endings and smooth connections. 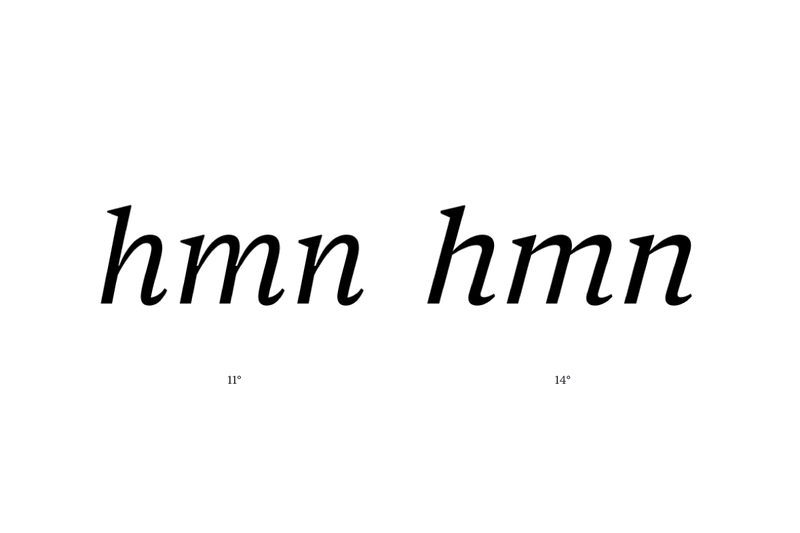 To avoid the overall stiffness of the italic, I went for a cursive construction with smooth connections and slightly flared bottom stems. 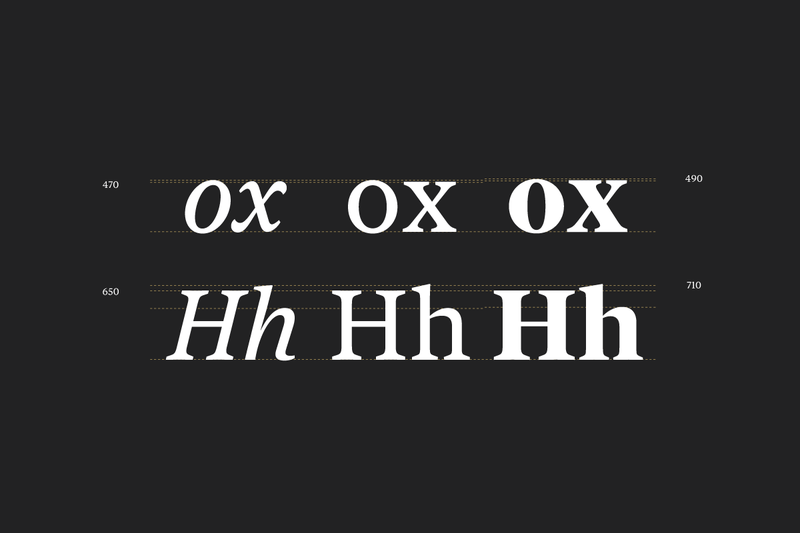 Vertical metrics of the Roman, Italic and Display cuts. While working on every styles at the same time, I found important to define their similarities and differences. 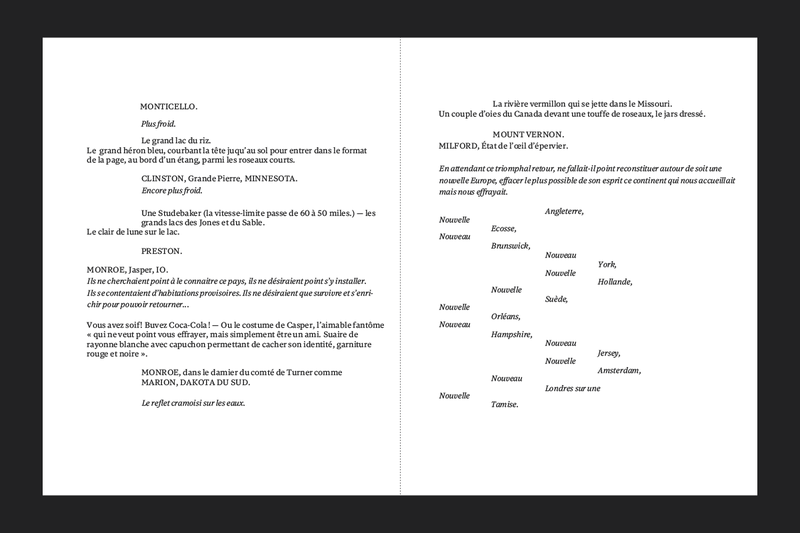 In order to be consistant across the family, I decided to keep the same treatment for the terminals of the Text and Display styles.